Ending last term was just about the ending of my heart and soul as well. I worked the last 21 days of term constantly, 11 to 14 hours each day, with only two nights off – one when my mum was admitted to hospital seriously ill and one on the Sunday of the Rugby Tournament. I still went into work on each day but at least I didn’t have to stay there all day. Now I receive an email from Carrot stating how disappointed he was that myself and my partner did not attend the end of term dinner. Which I had spent the last week of term preparing and cooking in amongst winding down the term. My partner owns and manages a bar which is very busy on a Friday night and especially that Friday night as he had a function on. I never get a chance to attend these functions as I am always working until 7 each night and by that time I am too tired to be much company anywhere. When I heard from my father that he had put my mum into hospital I felt the most awful fear that I was going to lose her. I also felt such an anger that I hadn’t been able to see either of them for some days even though I live one street away as I was always working or always tired. I have Hashimotos Thyroiditis and life for the past few years has been a confusing and frightening battle of trying to figure out what is going wrong with my brain and my body. I have spoken to Carrot about this repeatedly, explaining the exhaustion and panic attacks. For the past two previous terms I have argued with my doctor to not admit me to hospital for exhaustion as I would rest now that the term was over and assuring her that in the following term I would talk to the Headmaster again asking him to please change my work hours. It now came to the end of the third term and any shortening of my hours so that I could find time to reboot, recover and relax each day disappeared in the first week of the term. My anger and disappointment as the term progressed and I watched other members of staff having their days off, having opportunities to travel for sports events, being allowed to take doctors, dentists etc trips. By half term I was too cold and tired to try and practice yoga at the only time available for me, 4am, I felt unhealthy, tired and blobby. Watching the other staff have the time for aerobic classes, taking runs, walks etc made me envious and sad. If I found thirty minutes in my day when I wasn’t being asked to do something then I tried to take a fast 30 minute walk around the dam, on my own as everyone else would be working at that time. On days when there are no afternoon functions for which I have to prepare teas, or dinners I had to cook for Carrot to act Lord of the Manor with his wife rushing out from town to pretend she had slaved over the stove for, then I am allowed a lunch break from 2-30 to 4-30pm. This doesn’t happen often and is often spent sourcing items around town for the school. Invariably if I reach home with enough time I pass out on the couch trying to get my tired brain and body into some form of normal in order to return for the final two hours duty of the day. On my way back to the campus in the evening I would see the other staff going off in walking or running groups. Everyone friends and together because they work decent hours, and here I am going back to work. By the time I finish and drive back home in the dark on my own on a road which is filled with idiot drivers and is in terrible condition, I am a zombie of exhaustion. There are only four of us who live off the Campus, the other two women leave school early and have their Duty days only in the mornings, how come this option has never been offered to me? From half term I start preparing the menu and sourcing and ordering stock for both Housekeeping and Catering Departments for the following term. Last few weeks I close off all my Departments making sure everything is packed where it should be and that all R&M requests get to the Estates Manager. The end of term is when all the staff want little special extras to give to their classes or dorms and I have to organize and often make these as the kitchen staff are focused on getting three meals a day out for 300 children plus teas etc for functions. Now Carrot sends me this email saying he is disappointed. I am so angry. I don’t know how to deal with this. I want to explode at him and say can’t he see how he has killed any enjoyment I had in this job and he has taken away my life and he is keeping me from spending the time I should be both with my partner and my family. My relationship was nearly ended last term as we never saw each other, never got a chance to talk, never spent any quality time together. My partner, being a male, doesn’t understand what I am going through either so I get blamed from both sides. I want to spend time with my parents as they don’t have much longer, they are both ailing and I want to be there for them. I am resigning this term. I don’t know what I am going to do next and its scary at my age to be stepping out into the unknown again. I know my partner can’t support me and I don’t think he is really interested. His life is about him and his plans for the future and I don’t think they really include me.I myself just want it all to end. I have always been good at running away but this time I have stayed and really stuck it out but now it must end and I feel I must do something I want, live the life I want not the life everyone else wants. On Sunday I worked with my partner running a bar at a function held at the Airport. We started packing up the bar by 5pm when it started raining, loading all our cold boxes, trestle tables and stock onto our 7tonne truck. I left the airport at about 6:15pm driving in my Rav4J in front of the truck. I was going very slowly as I was concerned about the truck on the muddy dirt road. It was very dark and raining heavily and on reaching the strip tar road I had to wait for traffic, visibility was very bad. On the strip road itself I hadn’t gone very far when I came up behind a pickup loaded down with wood parked in the middle of the road with no lights on. I was going very slowly after that making sure the truck was always safe behind me. Once reaching the full tar road I came to a point where there was a curve then the road went uphill slightly. At the top of the rise there were a lot of headlights shining and I realised there was an accident and slowed down on approaching. There was a white SUV type vehicle slightly off the road on my left with its front passenger side in the bushes. Directly in the left hand path of the road a Honda Fit was parked across, its front facing the right side of the road but the right side of the road was mostly open, the boot of the vehicle was standing open. I saw a young European man standing in the middle of the road with blood running down his face so I stopped and ran to him to see what I could do. He didn’t seem badly hurt, the blood on his face seemed to be coming from a gash on his forehead but he seemed to move ok and there was no other injury noticeable. He was dazed and very shaken and all he said was please can you help me please can you call my brother Michael Bailey at the airport. I realised he must have been one of the son’s of someone who I work with at the school, but I didn’t recognise him as I dont know him very well. I went back to my car to get my phone. I had parked in such a way that my lights and hazard lights were lighting up the area around the Fit and beyond. I called my partner and told him quickly to get the boy’s brother to come. I told the driver of my truck behind me that I was going to wait for the brother to come then we would go. The road was very busy and I was worried as being on the curve, my truck was also now becoming a hazard. I noticed on the far side of the Fit a lot of people milling around, about ten to fifteen and I noticed parked along the left verge beyond the Fit there were four other vehicles with people inside them and standing next to them, their lights were all on and I remember 3 small cars similar to the Fit and a minibus, all loaded with boxes and bags on roofs. People were taking belongings and bags out of the Fit and were moving to these other taxis. There was a man who seemed to be in charge of everyone, helping them get their stuff and talking, he had a white bag slung across his chest. I remembered listening to them talk about ZRP so I presumed he had phoned them. He was taking stuff from the open back of the Fit and passing it to people. The young man sat down on the ground by the front wheel of the Fit and I was worried he was in shock so I tried to keep talking to him reassuring him his brother was on the way. I asked him if he had all his belongings like wallets & phones out of his car and he said he had someone elses phone on him. I was very worried about the bang on his head and shock setting in but he was very quiet and restrained. While crouched down next to him I noticed that the Fit’s park lights were on but the main lights were off and the engine was still running. I called to the men talking on the other side of the Fit that I thought we should turn the engine off as I was worried about fuel spillage. The man with the white bag came and switched off the vehicle, I had assumed from his actions and behaviour that he was the driver. While the vehicle was being turned off I moved to the back of the Fit and noticed a pile of clothes in the back which seemed to be moving, there were pieces of wood on the road and there seemed to be material hanging out of the back of the boot. I wondered what was under the moving material but I didn’t look closely and as none of the other people at the vehicle seemed to be paying much attention to it, I presumed it was a goat or something they were transporting. No-one had really been around the back of the vehicle except the man with the white bag and he had also been taking various people around to the passenger side of the white SUV and they were looking at something but I never checked what. At various times, the man with the bag and two other of the men around the vehicles said to me that I should take the boy to the hospital but I replied that his brother was coming and he would deal with it. The brother arrived and the young boy broke down and was crying and crying. I was very worried about the amount of traffic backing up behind my truck and being on a curve like we were it was a dangerous area even though we had hazards flashing. The rain had subsided but there was still a light drizzle. I signaled to the driver we were going and climbed back in my car and started pulling away. As I came along side the young men around the boy I said to them they must try and keep him warm as I was worried about shock and the one man reassured me that it was ok they would look after him. I drove around the Fit and paused on the far side to make sure my truck got around ok and while waiting I noticed that all the taxis and minibus which had been parked on the verge were now gone. There was still a lot of traffic on the road though. I was involved in this over the weekend and it has really shaken me, this is part of the statement I had to submit to the police. The taxi situation in this country is the most awful and totally out of control. There is no control of them by the police and the drivers very often have no licences and the taxis are in the most un-roadworthy condition. I fight every day coming to work and going home as I have to be constantly alert for which side of the road these lunatics decide to drive on, decide to overtake on, decide to stop on. They have no manners, no worry about other road users and definitely no concern for their passengers – the amount of accidents they have caused where the passengers have been hurt or killed and the driver gets out of the vehicle and runs away. The pile of clothing in the back of the car was a body, the young boy was unlicensed and had been drinking. It was a dark and rainy night and almost positively this Fit had no rear lights showing. There was a man leaning over the back of the car lifting his luggage and wood into the Fit, the impact severed his body in half. The sad thing is that nothing has been done about the fact the vehicle was stopped in the middle of the road with no lights in such bad conditions, the focus is totally on the young boy being unlicensed, probably not sober and white. Money can only make your surroundings pleasant. It cannot create inner pleasantness. In my job as Catering Manager in a large private boarding school I also have to cater for the Headmaster whose wife cannot cook. Every couple of weeks he has a dinner for about twelve people from around the Community and he expects a first class three course meal with all the trimmings. The school is 90 years old with 90 year old equipment and a staff of cooks who have learnt from each other and their fathers or relatives as time has gone. I cannot change the school menu too far from the norm as they only know what they have learnt over the years, so the menu hasn’t really changed over the years. In the time that I have been here they have been so grateful for all I teach them and any training or knowledge I share with them. Coming from a hospitality training to school catering is certainly a big step and was quite confusing in the beginning. I had all these menu changes which were soon shelved due to lack of knowledge; all these exciting salads and vegetable recipes to incorporate until I realised that I was feeding children who definitely weren’t interested in veg & salads. Everything had to be bland, non salted, non sugared and of course cooked in large quantities. So with the above explanation you can understand that the cooks have no idea how to cater to dinner parties, so I plan and cook them myself. Its a lot of work on top of the rest of my job but I have become very clever and learnt to plan a menu (which has to be sent to him and his wife for approval) which can be prepared in advance, is basic and simple with the most flamboyant of names and presentation and which can be served by the Madam without too much explanation. This dinner was :- Creamy Asparagus Soup with blue cheese crostini, Lamb & Bacon Casserole with sweet potato mash, sesame carrots, green beans & roasted beetroot & feta salad and for dessert was Creme Brulee. My dinner plans never follow the menu I normally send to them a month before the dinner, I have never figured out if they notice this. Its hard to plan and organise a meal living far away from any decent shopping centre so its only really two or three days before the dinner that the menu comes together with what I have been able to find, and of course the progression of my cooking. For this dinner the Creamy Asparagus Soup required fresh asparagus of which I only found 5 sticks – add in brined asparagus. I could only find one bunch of leeks – add in spring onions. The cream had, of course, gone off, and created a curdled look which made me panic at first but then after I had blended the whole lot for a good time and boiled and boiled it, it all seemed to come together. The Blue Cheese Crostini – the french loaves I ordered from the town bakery turned out to be kitka loaves, and of course no blue cheese to be found. I found brie & camembert and melted it onto the halved slices of bread – my opinion was that it looked as horrid as it smelt but that must be the gourmet slant. The main course was easy – but the old anthracite stove which normally doesnt get hot enough to boil anything suddenly had a spurt while I was out of the kitchen and I came back to find millions of burnt bits. I also realised that I wouldn’t have enough lamb so my casserole became loaded with carrots and potatoes. The sweet potato mash was good but as I had used the carrots in the lamb I had to replace them with something orange to balance my menu – roasted butternut, then I realised my beetroot & feta salad was not enough as the only packet of beetroot I could find had shrunk while roasting. So the beans changed to minted peas and the beetroot & feta salad became beetroot, green beans, onion slices & feta – a very nice salad I must say. The Creme Brulee – oh those Creme Brulee! My cream was off, remember, so the first batch never set. I got fresh cream (we get fresh milk from the dairy down the road daily but I thought buying box cream would make it all taste better) and started again. We don’t have a blow torch or anything so I had to grill the sugar topping under the small salamander we have. It took ages and I was nearly late delivering the dinner to his Lodge. Wouldn’t have made a difference though as I never see anyone when I am offloading my car, I think they watch me from a window then only come into the kitchen as I am leaving for any last minute instruction. As I said, I always plan a menu to be able to make in advance. I had made the soup, the lamb and the Creme Brulee the day before then finished things on the day of the dinner. That was something else I learnt, my cooking comes bottom of the list to the guys preparing lunch or dinner for the children so any of the equipment I need I have to make sure they don’t need. When there are sports function teas, plus lunch and supper for 300 to prepare the oven is much fought over. I always get nervous over the dinners, but this dinner I lost my nervousness and developed a feeling in my gut that it was going to be one of my worst. I always cook from my heart and this time my heart just wasn’t interested. I felt disappointed, and worried all night. The next morning was the first time ever that the Headmaster came into the Kitchens to say thank you for a lovely meal. He gushed over the deliciousness and said how happy all the guests had been. We in the Kitchens always judge the meal by what gets returned in the dishes form the Lodge – they were clean, except for some stinky cheese crostinis. I have been away from my site for so long!! I moved countries then moved jobs and towns and all sorts of changes, including losing my passwords to my account. Old Age. So here I am starting again. My life is very different to my Mozambique days and I really miss it. From the excitement and challenges of living in a very third world country where every day was different and interesting and vibrant, I now live in another third world country which is even more challenging but not so interesting and exciting. In Zimbabwe we have the challenges of every day survival; a currency which hardly exists on paper and the bit that does exist on paper is not even recognised anywhere else in the world. It is fought over and hoarded to such an extent that you hardly ever see it and yet it is essential to survival as most of the vending of every day goods has moved out of the shops and onto the streets. We have items in the shops, imported at great cost from outside the country, so we pay those extra costs. The man on the street cannot afford this so he shops on the street. Our methods of payments are varied and confusing. If you have USdollars cash you are definitely king and your note can be traded for other currencies with quite a hefty premium. The invisible monopoly money used in the Country is called Bond notes, if you use these to pay anywhere you are normally charged interest so something costing $1 you would pay $1.50. Then you get Ecocash, textacash, Mycash etc etc, various payment methods you can do through your phone, again you get charged interest so that item which was $1 could now be $2. Then you have RTGS or bank transfers, your $1 item now comes to you at $5. The banks are making a killing as they charge between $2 to $10 service charges on transactions, then if you buy that item from the street vendor who has his own swipe machine you pay him $5 extra for swiping plus you pay the bank service charges so the $1 item could now be $8. We live like this, and we seem to accept it. Everyone complains but no-one protests, we just pay and move on waiting for a change to happen. That was another difference I still cant get used to, Mozambique is loud, vociferous and in your face but fair and happy and smiling. Zimbabwe is angry and surly and everyone is out to get everyone else. No happy bantering between the races here, the divide between black and white is a huge chasm which can become a raging fire at the flick of a switch. 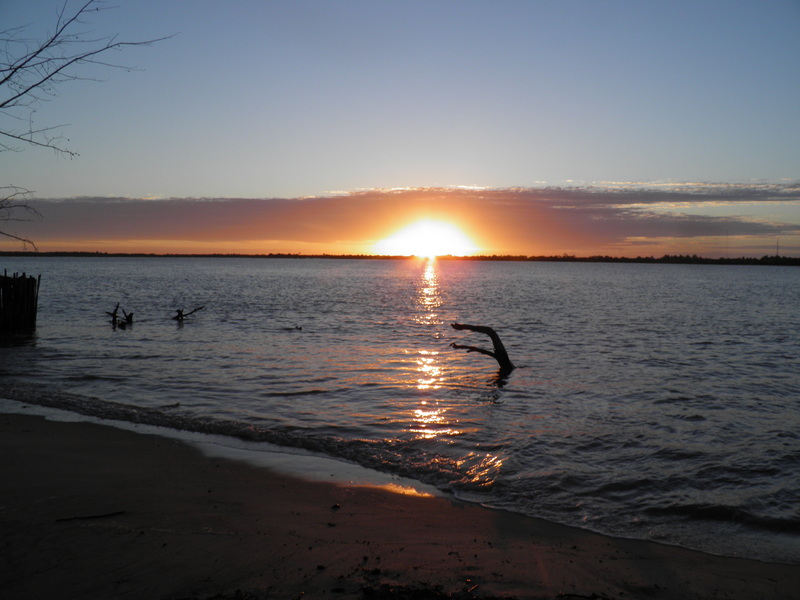 So my new start has been a learning of new methods, new environments, new weather – I have ended up living in a place the total opposite of warm and sunny Mozambique. Times have moved on and I am learning to move on with them, the changes which need to be made must be made now, if I wait then the changes will be changed. My list of what is important has changed and I now try and be more mindful, I plan and think instead of just jumping in. Boring? Tribute and tribulation, two words so very similar in spelling and pronunciation but vastly different in meaning. The exact difference was brought home to me this past week when I experienced both in the space of twelve hours. We paid tribute to a man who came into Mozambique at a time when the country was just emerging from a long and horrific civil war which had torn the country apart and brought it to the knees of poverty and deprivation. He came into the country from Zimbabwe, first on regular trips, trading foods and items from Zimbabwe, for prawns and seafood from the coast. The roads were practically nonexistent with the risk of mines or attacks from either of the warring parties along the way. He would tell stories for hours describing the trips and adventures and close shaves he, his family and his friends had in those early days. The stories of setting up business in Mozambique at a time when legal administrative procedures were nonexistent and everything was done with bribery and corruption as par for the process were amazing. In Beira, at the time, there was no piped water or sanitation facilities, very rarely any electricity and no shops, fuel or basic living commodities. As he and his family were coming through to Beira so often and friends were starting to join them it was decided that a restaurant and camp ground should be built. 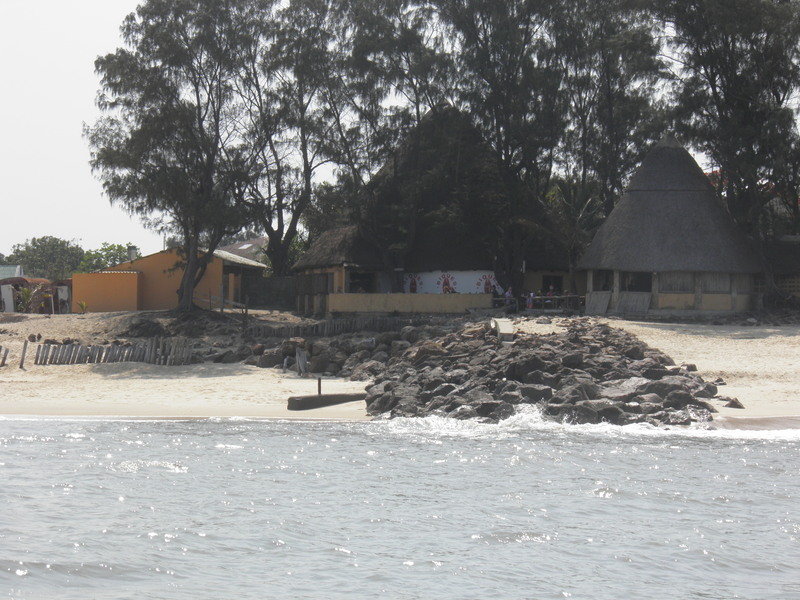 This was started on a small-scale but its popularity became such that it expanded and grew into a sprawling, thatched roof venue renown for good food and the best view in Beira. That was twenty years ago, this man and his family certainly saw and experienced a lot of change in the slowly awakening country. When he passed away two weeks ago the restaurant was closed for the day in order to hold a memorial service for him. The Service was a tribute to his memory read out and spoken about by various longstanding members of the Beira community. Each of the members of the restaurant staff, some of whom had been with him from the beginning, took a handful of ashes from the box held by his son and threw them into the sea. A fitting tribute as he had loved the ocean. Then came the tribulation. Half an hour after we locked up and went home we received a call to say the restaurant was on fire. His Restaurant. What an awful shock, what desolation, what bone crushing sadness. You can never prepare yourself for something like this and the ache inside my chest was so extreme at times I thought I would be ill.
Why did this happen? What was the reason? How did it happen? How are we going to survive? A week later not many of the questions have been answered but I have theories. He loved the restaurant, it was his, maybe he wanted to take it with him. Maybe someone still living decided he should take it with him. Whatever the reason, the tribulation of suddenly realising you have nothing left out of what was something huge pushed us to a level we did not realise we could reach. Out of adversity comes strength, strength you often do not realise you have. The Old Man built the restaurant through a lot of trial and tribulation on his part, maybe now it was our turn to rebuild and suffer a similar stress and tribulation in order to learn to appreciate what he went through. In our tribute to him we had to experience the tribulation he had endured as he knew he had left that legacy of strength in his family and he knew they would get through and achieve what he had achieved and love it the same as he had. I wish that all human kind realizes the damage they are doing and creating by their lifestyle and greed. I wish for an end to pollution, damage and desecration to all forests and lands and we all learn together to save what we have left. I wish for a life with more security, more happiness, a home, abundant love, friendliness, success in all my undertakings. Safety and care for all my family and all whom I love. I wish for this Company we have started to succeed and be all that we hope for. My life is a huge bunch of changes at the moment and I feel discombobulated. We have decided to sell the restaurant and the house and leave Mozambique to go back to Zimbabwe. It is only a three hour drive from Beira, Mozambique to Mutare, the Zimbabwe border town, but we don’t plan on stopping in Mutare. No, when I choose to do things I make sure I do it on a large and grand scale. We are moving all the way across Zimbabwe right up to the snout of the “pigs head”, Victoria Falls. In my craziness I have opted to pack up the house in Beira, my flat in Mutare, my son’s flat in Mutare as he is joining the venture and transport six cats and two dogs and about six or so various people on a journey which, hopefully, will take two days of slow and careful driving. I am dreading it and whereas, normally, I can picture stages in my journeys and imagine how things will work out, this time my mind is a total blank. This change was decided two months ago as we have a friend who owns a restaurant in The Falls who has gone through a huge amount of bad changes himself suddenly and was ready to give up his dream and life’s work due to all of his problems. My other half has been constantly moaning about his lot in life here and wanting to change things, so I suggested why don’t we join up forces with the Falls contingent. The offer was leapt upon!!! I was quite amazed at the response as from listening to both parties moaning for a couple of months this thought had been in my head for a while and to my way of thinking it was a natural conclusion. Why hadn’t they thought of it? Within a weekend we had planned it all. Both my sons also needed to change their lives so were giving up what they are doing and coming into the business with us. We were going to sell the house and the restaurant here and invest in various things that side starting a company in the process and everything was go, go, go and we were all very excited with plans and dreams. This is Mozambique, don’t make plans or deadlines and expect them to be kept. Due to seriously dumb administration it turned out that both the house and the restaurant weren’t actually owned by my other half. We couldn’t find out who owned it at all. No deeds had been drawn up, no papers signed, no transfers. I was amazed. Never in my existence had I ever heard of someone owning a piece of land for twenty years but not owning it!! Paying taxes and rents and dues etc but having absolutely no paperwork showing ownership!! Unheard of and unbelievable and so, so stupid in any country in Africa, never mind one that is not your birth country. Land here can be taken away from you on a whim and if any of the power hungry politicos heard about this gross mess, we would certainly be out on our ear. Luckily – we found a very good lawyer and with much “under the table financing”, slowly things have progressed and maybe, maybe, another two weeks. I am not even thinking about it. I have stopped packing and am living out of the boxes I had already packed. I refuse to jinx the whole operation again by hoping and planning so I have stopped and moved over to a path where I sort of wander along daily trying to keep myself busy. Christmas is coming and every year I craft and decorate and love celebrating Christmas. This year my craft stuff is mostly packed with some in Mutare and as I am so determined not to think anything negative or plan anything, I have kept a few crafts out and am crocheting and sewing things for little nephews and nieces. Cannot say if they will actually get them as I probably will pack them and forget where but anything to keep my mind busy. The Change!!! Why the hell is it happening now? I had a hysterectomy nearly twenty years ago and have had a very hormonally crazy life since then, but I thought I had missed The Change, The dreaded mad Menopause. Now, going into the hellishly, hottest months in Beira, when I am trying to plan and coordinate a huge move and start of a new life and have to have all my wits about me as the males in my life sincerely aren’t the brightest lightbulbs, my body has let me down. I am breaking out in horrific sweats, my joints ache, I can’t sleep and lie awake panicking about the future and I have turned into a forgetful, snapping witch. Over the past couple of weeks I have watched in astonishment as my middle area suddenly ballooned and I developed a roll!! For no reason that I could see. I wasn’t eating any different or behaving any different and yet my jeans wouldn’t do up. If anything I was eating less as it is too hot in this place to eat. I upped my running, yoga and other exercise and kept as busy as possible. Then my body seemed to pack up, my joints started to ache and pain, sometimes continuously. I thought I was overdoing the exercise so I cut right back and only did yoga. The pain has continued though and some days I cannot rest at all as my ankles are so sore. Nights are a nightmare, I wake up in a bath of sweat and realise I have pain in some joint, either my ankles or my back or my shoulders and then I cannot get back to sleep again as I start worrying about things. Really pointless, stupid worrying about totally mundane ideas that suddenly develop into huge mental problems which keep me awake trying to solve and sort. I read somewhere that not sleeping enough can make you fat so as I lay not sleeping I worry about that as well, and of course don’t sleep. Days have become a an exhausting cycle of battling to get up in the morning and then struggling through the day with aches and pains popping up everywhere and sweating, always sweating. Its actually so hot in Beira that I often cannot figure out if I am sweating normally or from a hot flush. I have lost all my energy and mojo and to do anything is an exhausting trial, even to think about doing something exhausts me. For months now I have been scratching. I thought I had an allergy, then excema, maybe the stress, the heat, I have spent hours on the internet trying to see why I am scratching. I have had to rub tonnes of cream on to prevent myself scratching my skin raw and bleeding. What really worries me though is my mind has been taken over by aliens, my memory is now a sieve and I have lost what little intelligence I had. When I first noticed this happening I was seriously worried that I was developing Parkinsons or Alzheimers or some such age disease. This morning I woke up and just lay in bed wondering how I could get up and try to do a bit of yoga, or even just get through the day. Friday is my grocery shopping day but the thought of trying to go round hot smelly crazy town just drained me. I couldn’t do it, I couldn’t even seem to open my eyes! I just lay there for maybe an hour just trying to be, you know the feeling, just be, at one with the bed and the cool air conditioned air. Then as I felt another hot sweaty flush starting to roll over my body, I suddenly thought to myself “Duh, you stupid woman, its the menopause”. It was like a flash in my brain. I googled all my symptoms, I googled menopause, I googled menopause blogs, I googled treatments, natural and medical I googled everything remotely related. It all matched up! The knowledge doesn’t help me much as living where I do there are no doctors to speak to, I am going to have to wait until I get to civilisation to get it all confirmed and sorted. I am not sure when that will be so I have searched the town for some of the more natural products I saw on google. Not much luck there either surprisingly as I had thought with the number of Chinese and Indians we have here that surely I would find some natural remedies. You can buy any drug you want here over the counter and without a prescription so this was quite disappointing. It’s a males town. I am going to have to learn to live with the discomfort and keep as positive as I can and take it slow and easy. One step at a time. What an awful phase to go through though and I hope it ends soon. Any advice would be appreciated.